One of the most prominent painters of the Warmun (Turkey Creek) community, Queenie McKenzie was born at Texas Downs Station. 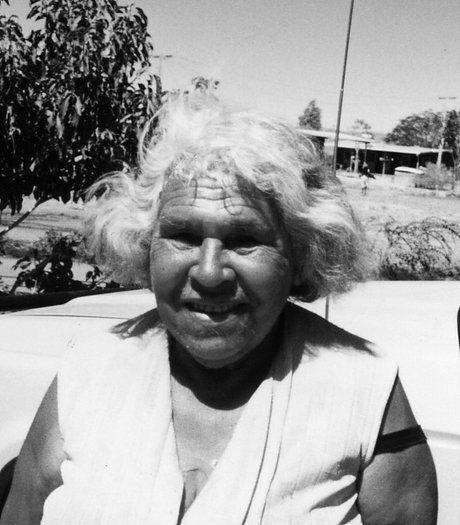 The daughter of an Aboriginal woman and a gardiya (white-fella) father, in her youth McKenzie was at the centre of a series of tense encounters between her mother and local government authorities. They sought to take her from her family, following the assimilation policies of the time. On each occasion, McKenzie’s mother strongly resisted, even rubbing charcoal on the young girl in an attempt to conceal her lighter skin. As a young woman, McKenzie worked as a goatherd and later as a cook in the cattle mustering camps of Texas Downs. In her later years she moved to Warmun, where she became one of the most senior figures in Gija women’s law and ceremony. After witnessing the success of the male Warmun artists, and with the encourage-ment of Rover Thomas, in 1987 McKenzie was the first woman to begin painting in her community. In little more than a decade of active painting, Queenie McKenzie emerged as a prominent and compelling commentator on the Aboriginal experience. Participating in numerous solo and group exhibitions, she created works that range in scope from the creation of the world, through the violent encounters of the colonial era, to the present day. Many of McKenzie’s paintings are autobiographical: depicting episodes from her life with her own people and with gardiya, on the remote cattle stations of the East Kimberley. 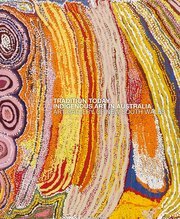 McKenzie created a remarkable visual history of a life spent in two worlds: the sacred landscape of the Ngarrangkarni, and her working life on Texas Downs Station. Untitled , c.1994, is typical of McKenzie’s bold, detailed landscapes, which depict the rugged hills of her home country in and around Texas Downs Station. The work also reflects McKenzie’s distinctive use of a formal perspective in which she visually compresses the features of the landscape so that she can include multiple sites associated with the particular Ngarrangkarni or historical incident she is portraying. Hence, all the features she includes might not necessarily be visible to an observer standing at a given point on the ground; and, although she portrays actual hills and other geographic features, in this, as in many of McKenzie’s works, their physical spatial relationships are rearranged and adapted to illustrate the underlying narrative that unites them.